Cranbourne trainers Trent Busuttin and Natalie Young know what it takes to win a Gr.1 VRC Derby (2500m). 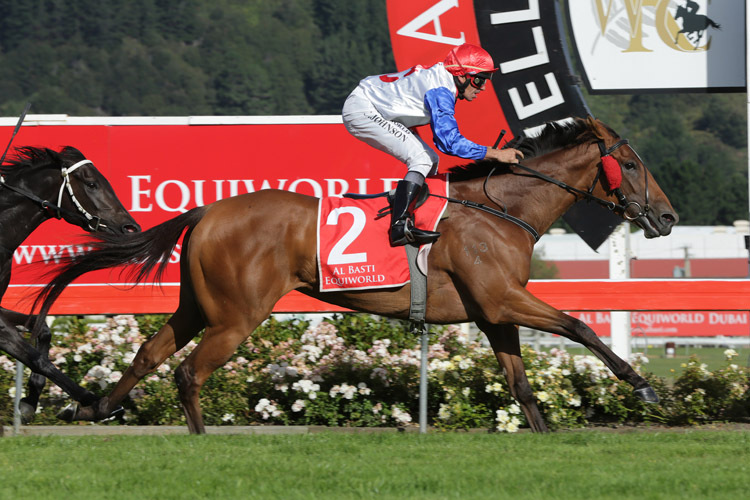 The Kiwi conditioners prepared Sangster, a son of Savabeel, to win the blue-ribband event in 2011, while Sully also turned in a strong performance when second from a wide barrier last year. On Saturday, the duo will have two representatives headed by progressive stayer Savvy Oak in addition to outsider Louie The Legend. Although only a maiden winner, Savvy Oak found the line well when fourth behind Stars Of Carrum in last Saturday’s Gr.2 AAMI Vase (2040m) and his trainers believe his $20 quote is over the odds. “Savvy Oak has come through his last run in the Vase well,” Young said. “He’s paying $20, but I think he should be priced at 11 or 12-1. I think he’s a great chance. His work has been super. Like Sangster, Savvy Oak is a son of New Zealand’s champion sire Savabeel. A $95,000 purchase from the Windsor Park Stud draft at New Zealand Bloodstock’s 2017 Premier Yearling Sale, Savvy Oak is out of the Group Three winning High Chaparral mare Fairy Oak. Young said Savvy Oak would wear ear muffs pre-race to keep him settled after becoming a little bit warm before the Vase. Meanwhile, Young believed Louie The Legend is not without a chance despite being well held in 10th last start. “He probably did a bit too much work in the Geelong Classic and didn’t quite finish it off,” she said. “This time he will be ridden conservatively. He has got a little bit of an awkward draw (11) and he may end up a couple of pairs further back than what we would like. Young believes Thinkin’ Big is the horse to beat but is pleased to be represented in the 1 9⁄16 m feature once again. “It’s a good Derby field, but it is just great to have two in it and giving the owners an experience of having a Derby runner.